Neil Gaiman is an award-winning writer in a number of forms. He broke ground in the world of comics with his 1980s series Sandman, which followed the god of sleep through a series of beautiful and sometimes terrifying adventures in the world of dreams. 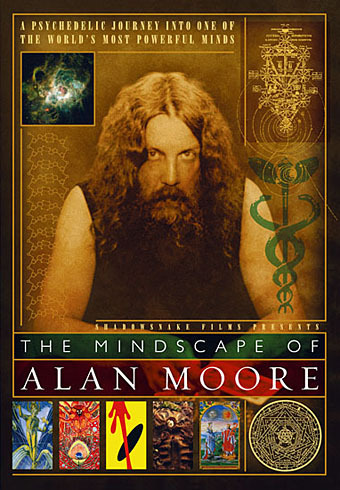 His books of prose include the acclaimed adult novel American Gods and the recent Newbury Medal-winning young adult book The Graveyard Book. Gaiman's 2002 novel Coraline is the basis of Henry Selick's film of the same name. Selick is the master of stop motion animation behind the films The Nightmare Before Christmas and James and the Giant Peach, as well as the animated sequences in Wes Anderson's The Life Aquatic with Steve Zissou. He filmed Coraline in 3D, and talks about creating the movie's immersively beautiful visuals, and about adapting the book for the screen. Recent TSOYA guest Scott McCloud tells the folks at TED about how to understand comics. Scott McCloud is both an accomplished comics creator and critic. His books of comics criticism, "Understanding Comics," "Reinventing Comics" and "Making Comics" are classics of the form, and are standard-issue in hip literature classes around the country. His newest book is a compilation of his 1980s superhero series Zot!. He talks with us about how to read comics and how he incorporated the influences of the comics of other cultures into his own work in the '80s. David Malki ! (who really spells his name with an exclamation mark) is the creator of the comic strip Wondermark. He isolates woodcuts and engravings from 19th century periodicals, then alters them to create a surreal and hilarious gag strip. 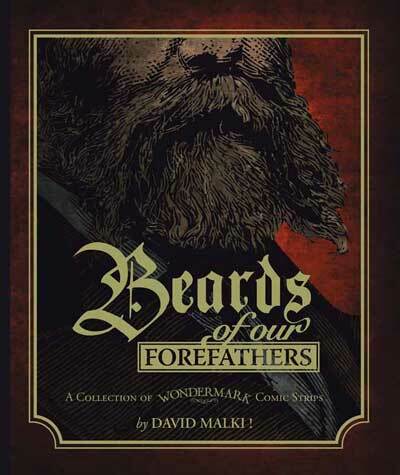 His first collection of the strip is called "Beards of Our Forefathers," and features extensive context for the strips, including faux advertisements and more. 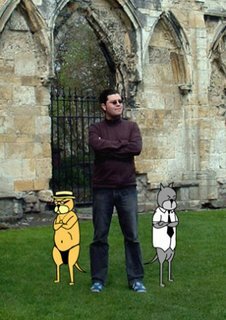 Chris Onstad is the creator of the web comic Achewood, which chronicles the lives of a group of 20-something stuffed animals. It's a surreal and hilarious strip, once named the best graphic novel of the year by Time Magazine, despite not being a graphic novel. Onstad has just published his first book collection of the strip with a major press, called "The Great Outdoor Fight." Comedian Brian Posehn and television writer Gerry Duggan were looking for a project to write together. Duggan was fixated on the idea of Santa Claus with a gun in his hand when Posehn posed a provocative question: "What does Santa do after the apocalypse?" The comic that grew from that question is The Last Christmas. PLUS: a bonus holiday sketch from our pals at Elephant Larry. Nerds unite! Again! On this episode: Brad Meltzer author of DC comic's Identity Crisis stops by to discuss his work. Sarah Silverman talks about her film Jesus is Magic, and San Francisco's Kasper Hauser perform a sketch and read some fake Craigslist postings .